as well as other related topics. The regional focus will be Patagonia, Tierra del Fuego and adjacent islands, the sub-Antarctic islands and the Antarctic Peninsula. There will be ample possibilities to discuss contributions and to elaborate on open scientific issues as well as new project ideas. On Wednesday, July 19th, 2017, there will be an internal workshop of the GABY-VASA group with participants from Chile and Germany. Particpants from outside the project groups may nevertheless join us if they wish to participate. The scientific programme is provided HERE for download. The abstract book with further information as a PDF is provided HERE for download. There is the option for publication of selected manuscripts from the conference in the frame of a Research Topic (special issue) within Frontiers Earth Sciences. Papers will be fully peer-reviewed. A discount on publication costs for papers within the Research Topic is offered. 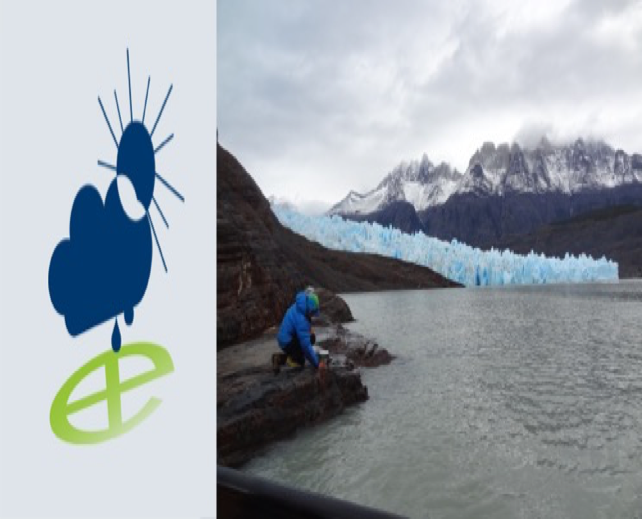 This Research Topic 'Climate Impacts on Glaciers and Biosphere in Fuego-Patagonia' is not limited to the abstracts submitted to the conference. You can submit any manuscript that fits the topic. The research topic is fully open. It is not limited to the conference participants. Also, you can submit multiple manuscripts in case. Submission of full papers: November 30th, 2017. Frontiers in Earth Science is indexed in Scopus, and the Web of Science via the Emerging Sources Citation Index. Full indexing in the Science Citation Index Expanded is foreseen by the journal this year, which would grant the journal it's first impact factor. Indexing and impact factors are applied retrospectively to all previously published articles. Contributions that authors agreed to share as PDFs with all other participants are availaible for download here. On Monday, July 17th, the conference takes place in the prestigous Senatssaal (Hall of Senate) of the principal building of Humboldt-Universität zu Berlin in Berlin Centre (street address: Unter den Linden 6, 10117 Berlin). The second day of the conference on Tuesday, July 18th and the workshop on Wednesday, July 19th as well, we meet in a lecture hall in the modern Erwin-Schrödinger Centre on the new Campus of the Faculty of Mathematics and Natural Sciences of Humboldt-Universität in the Southeast of Berlin at Berlin-Adlershof (street address: Rudower Chaussee 26, 12489 Berlin). The official program starts with a reception on Friday, July 14th in the evening and follow-up get-together and organized visiting program in Berlin and its surrounding on the weekend July 15th/16th, 2017. We show you some ‘real’ Berlin sites, visit the famous Telegrafenberg in Potsdam with its world-renowned locations for science and show you locations of recent glacial history in the area. The detailed information of the by-programme can be found HERE. Participants from outside the GABY-VASA project are asked for a contribution for the events on the weekend of July 15th and 16th, 2017 (total 20 EUR). In this case you are asked to pay your contribution cash, on-site. Geo.X, the geo-science alliance in Berlin and Brandenburg. We are looking forward to meeting you at Humboldt-Universität zu Berlin in July 2017.